This is, quite possibly, the most critical time for Black art since the 1960s. As the Black community endures a seemingly racist executive administration seemingly obsessed with dismantling the legacy of America’s first Black President, artisans of Kansas City’s Black community have been making their presence felt and voices heard in both traditional and innovative spaces. 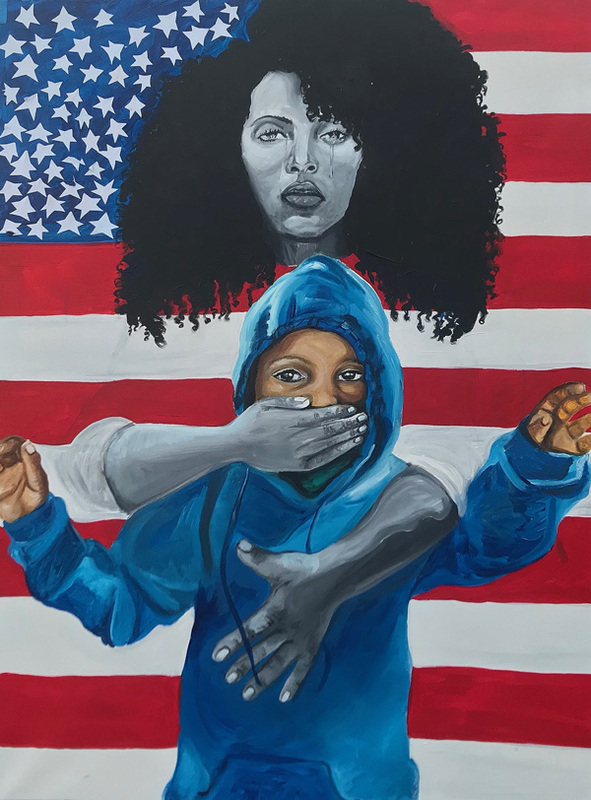 The eloquent yet forceful collage work of Glyneisha Johnson, a recent graduate of the Kansas City Art Institute and current Charlotte Street Foundation studio resident, profoundly reflects the feeling of shattered hopes that many Black Americans are experiencing at this time. 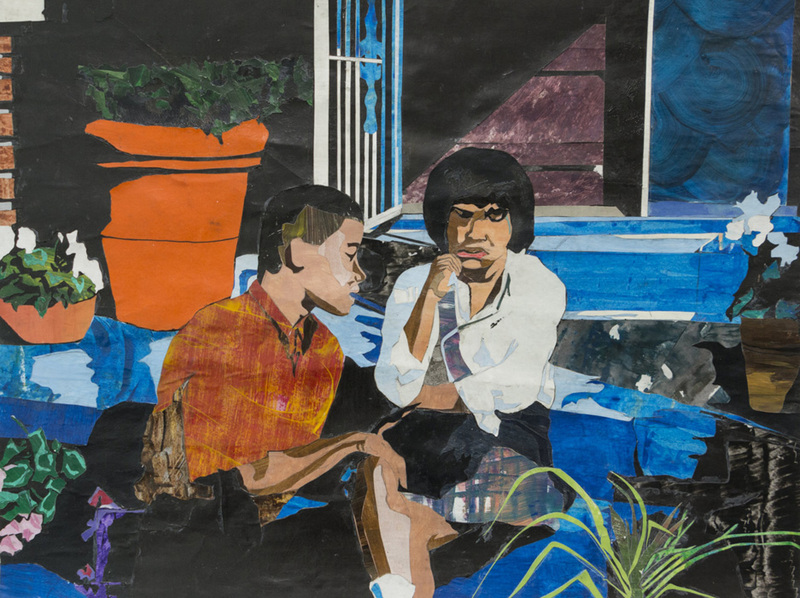 The Nerman Museum most recently acquired “The Help,” one of Ms. Johnson’s collages. 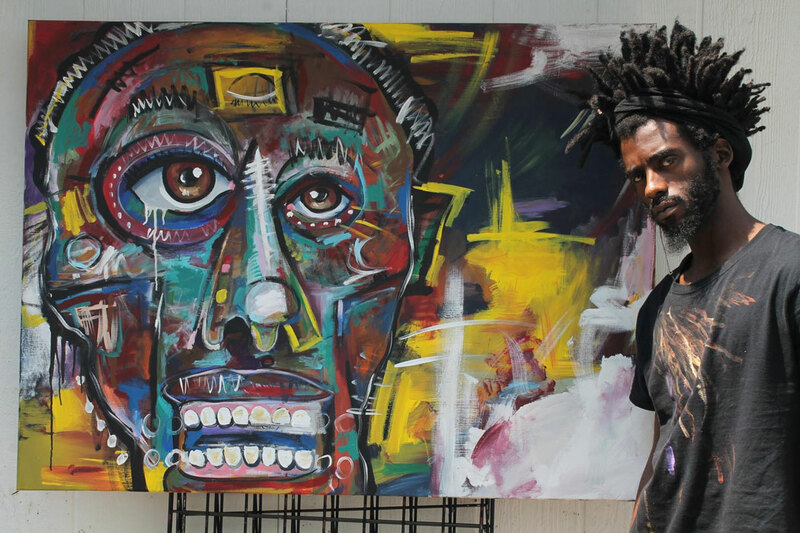 On the other side of the metro area, Warren “Stylez” Harvey, a deep thinking, self-taught artist (and two-step dance expert), has been steadily attracting attention in Kansas City’s Black community for his deeply introspective expressionist paintings that simultaneously capture the sometimes caustic mix of diversity, angst, exuberance and agony in the Black experience. 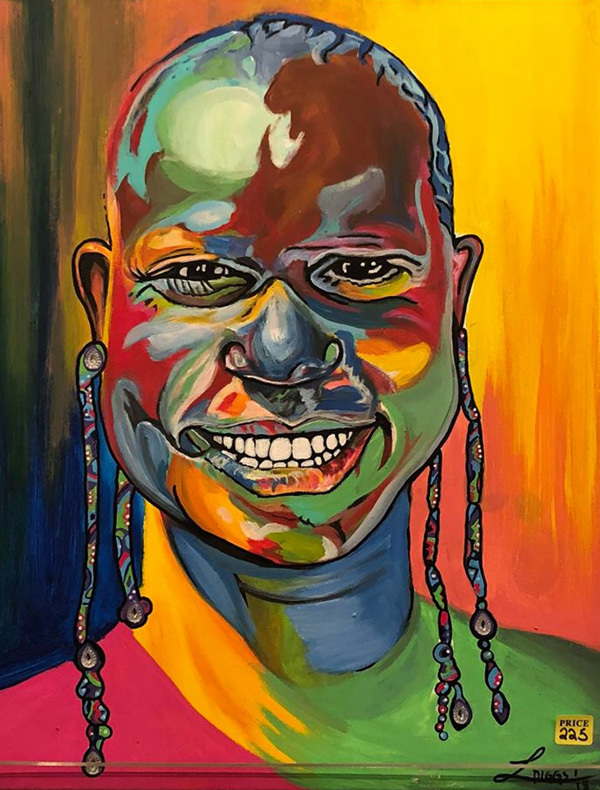 What makes Harvey’s work even more noteworthy is that he is a true full-time artist, sustaining himself solely on his art, in an economy that is still recovering from the Great Recession of 2008-2009. Working alone in the painting-stacked basement of his Grandview residence, Warren has produced hundreds of artworks. 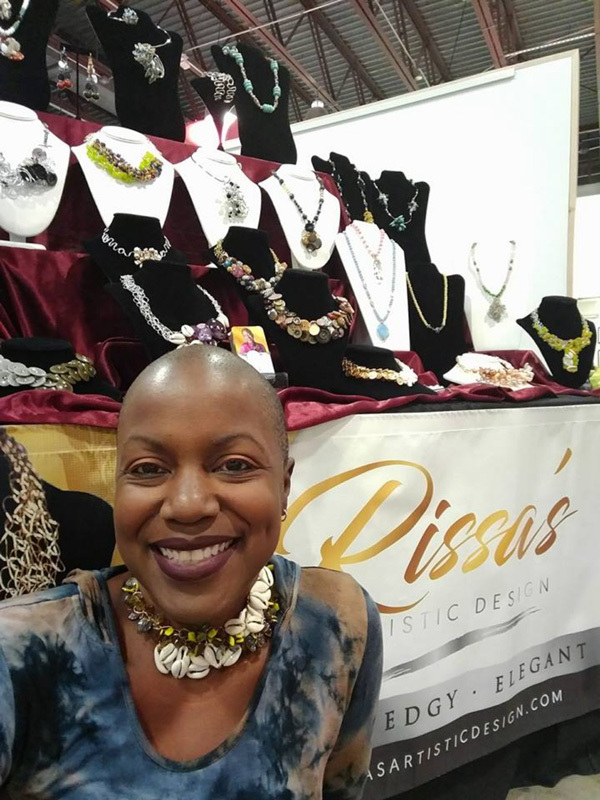 With noted poet Natasha Ria El-Scari, he is currently a co-founder of the El-Scari/Harvey Gallery located in the Center for Spiritual Living in the Midtown area and an exhibitor with Black Spaces/Black Art (See page 111). 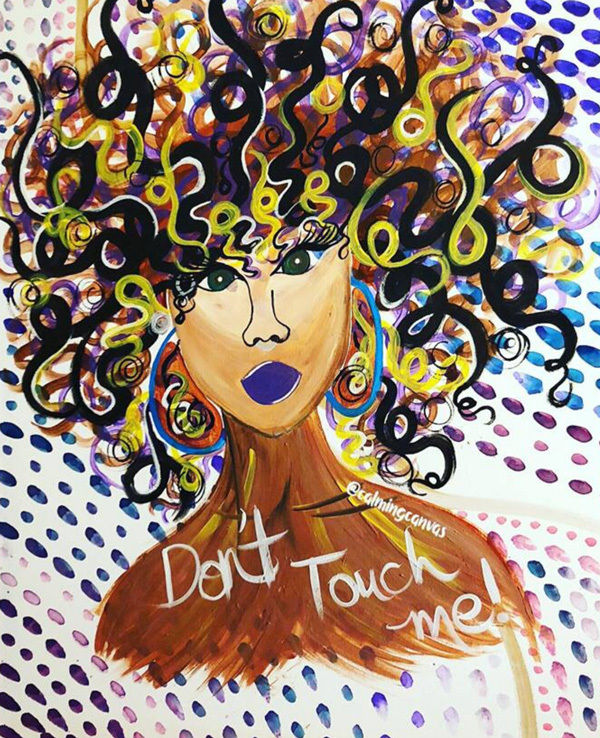 In between the traditionally trained Johnson and self-taught Harvey, the work of Juanita Maxine Harris Gibson stands out in its profound subtlety. 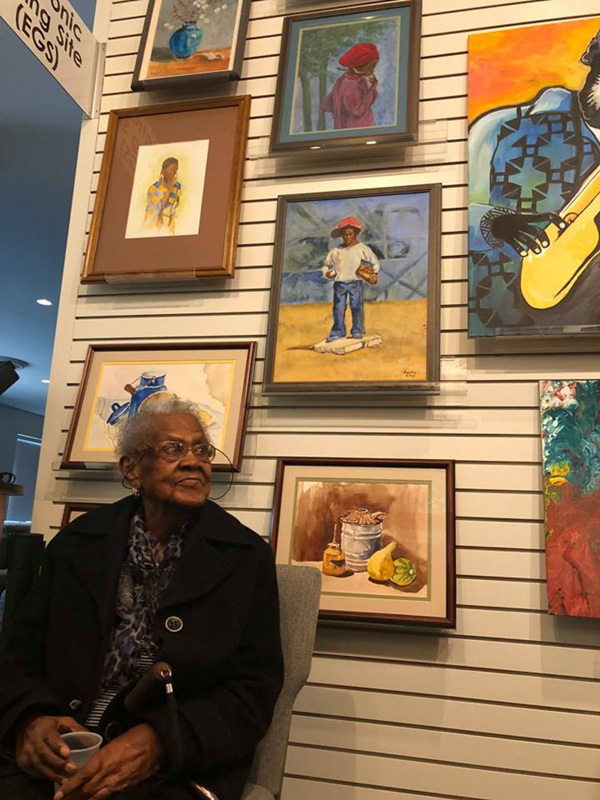 The 96-year-old grandmother of Natasha Ria El-Scari, Gibson was initially trained to be a carpenter by her father (who built the first post office in Rome, Georgia). Her art training came after she became a wife and mother. Always the oldest artist at the residencies that she has attended, she works with fabrics, watercolor and oils. Gibson recently exhibited at the El-Scari/Harvey Gallery. 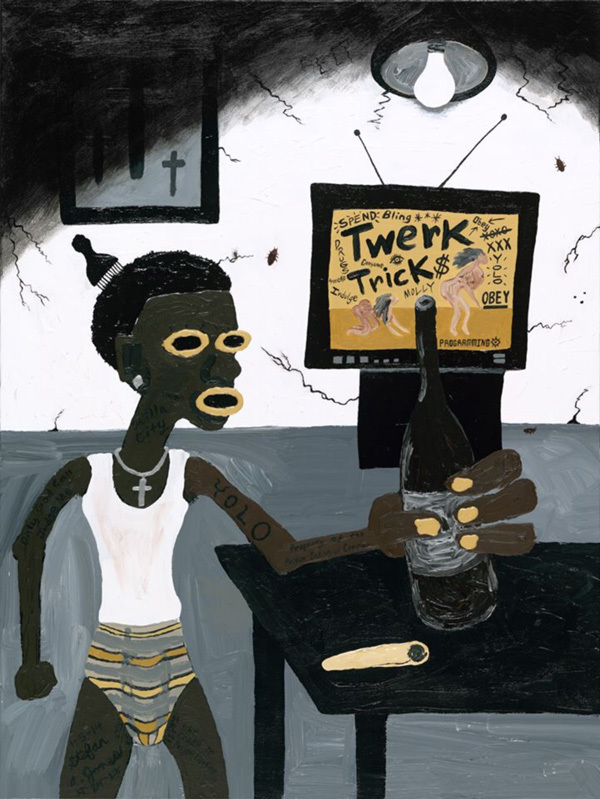 On the Kansas side, Stefan Jones, a Master of Fine Arts graduate of Boston University and current teacher/coach in the Kansas City, Kansas Public School System, has been creating surrealist/expressionist works that capture the complexities of the Black male experience. 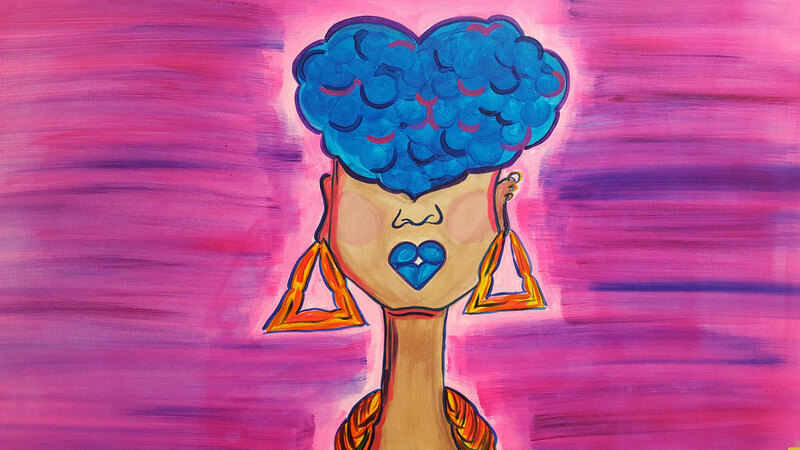 Stefan is currently exhibiting with the African American Artists Collective and KC Black Arts Network.